Having good communications systems and practices in place can take some of the pain out of this process. Communicating effectively with your employees can help to avoid confusion, misinformation and lost productivity. It’s important that, whenever possible, you provide plenty of notice to your employees about any planned downtime. 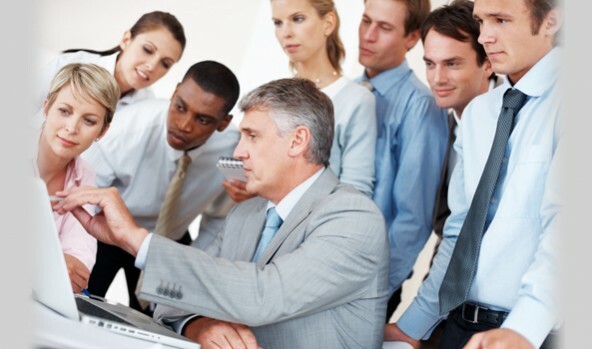 The heads up will allow them to prepare in advance and organize their workloads and schedules accordingly. For example, if they know IT systems will be down for several hours one day next week they may organize to work offsite, have meetings or do other tasks that don’t require IT systems during that time. Sending a single email a few weeks or even a few days before a scheduled outage isn’t an effective way to inform your employees about a significant event that can affect their work. With information overload and different issues competing for peoples’ attention, it is not realistic to expect people will remember the exact timing of an outage in advance. By communicating several times in the lead up to – and then again shortly before – a planned outage, you can expect your message to cut through. Any successful communications campaign relies on repetition of key messages so information can sink in. If you have multiple internal communication channels at your disposal you should communicate with each of these instead of solely relying on email. For example you should use your intranet site or any enterprize social media that your organization deploys. Even old-fashioned signs in the break room will help remind your staff that a scheduled outage is going to happen. There’s one internal communications channel that your organization cannot afford to be without to ensure your employees stay up-to-date with important issues – DeskAlerts. DeskAlerts is a software system that many organizations around the world have discovered is the key to cutting through digital noise to get information under the noses of their employees. 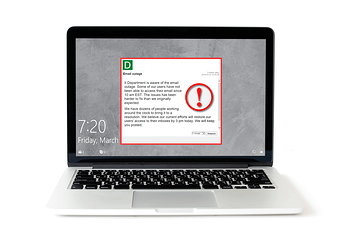 DeskAlerts allows you to send pop-up messages direct to your employees’ computer screens. The messages appear no matter what other software they are using at the time, or what tasks they are doing. The messages cannot be ignored or minimized and require a user response. Unlike emails that are often unopened and unread, you can be certain that DeskAlerts notifications have been received. You can schedule messages on DeskAlerts in advance to send at a time in the future. So, for example, if you need to use it to communicate about a planned IT outage, you can schedule to send in the weeks, days, and even hours before to remind your staff that it is happening.